Donald R. Westerman, age 95, of Upper Sandusky, Ohio, passed away on Thursday, January 31, 2019 at the Fairhaven Community in Upper Sandusky. Don was born on July 26, 1923 in Columbus, Ohio, to Harry and Matilda (Rusch) Westerman, both of whom are deceased. He married Virginia Berg on November 26, 1942 at her parents’ home in Upper Sandusky, and she passed away on December 5, 2012. Surviving are 3 daughters: Karen Westerman of Denver, Colorado, Kathy (Andrew) Liszkay of Rochester, New York, and Connie Westerman of Knoxville, Tennessee, along with 2 grandchildren, Tracy (Chris) Smith of Rochester and Brian (Katie) Liszkay of Gainesville, Virginia, along with 4 great grandchildren: Graham and Caitlin Smith, Amy and John Liszkay. Don is also survived by a brother, James Westerman of Evansville, Indiana. He was preceded in death by his parents, wife, and 4 brothers: Robert, Harley, Norman and Harold. Don was a self-employed truck driver for 45 years and also had worked for the former Bowen Implement in Upper Sandusky. 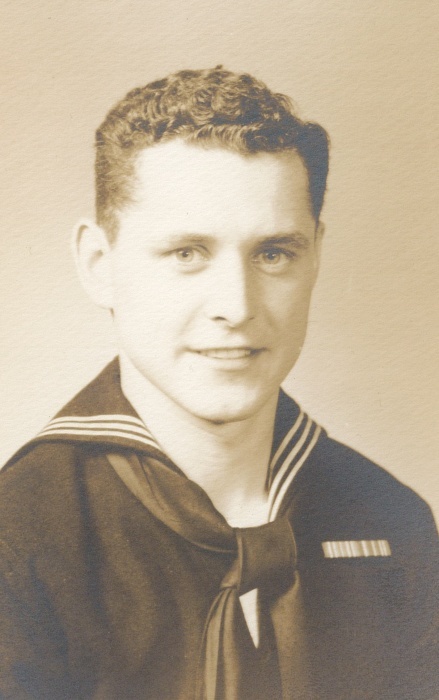 He was a veteran of World War II where he served as a gunner in the Navy, having served in Europe, Asiatic-Pacific, European African, and Philippine Liberation. During his time there, Don kept a journal and wrote about many mission, including his time in the English Channel, crossing the channel when it was referred to as, “Buzz Bomb Alley”. In later years, he was able to make the “Honor Flight” to Washington DC. enjoyed spending time with his family, traveling throughout the United States, and spending winters in Arizona. Funeral services for Donald Westerman will be held at 2:00pm Friday, February 8, 2019 at the Lucas-Batton Funeral Home in Upper Sandusky, with Rev. Jim Stauffer officiating. Burial will take place at Old Mission Cemetery where military honors will be conducted by the Upper Sandusky Military Color Guard. Visitation will be held 2 hours before service time, 12:00pm to 2:00pm, Friday, at the Lucas-Batton Funeral Home in Upper Sandusky. Memorials may be made to Hospice of Wyandot County and can be sent to Lucas-Batton, 476 S. Sandusky Ave Upper Sandusky, Ohio 43351.